NXT Power Programming delivers everything you need to create the robot you've always dreamed about. 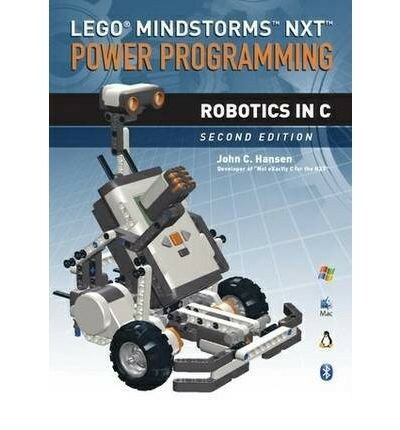 This is the definitive guide to C programming by the developer of some of the most powerful and popular development tools for LEGO MINDSTORMS. John C. Hansen presents a comprehensive yet friendly set of tools that allow you to create almost any robot you can imagine. Inside, you’ll find an ingenious set of projects that explore the complete arsenal of NXT functionality. At the heart of these projects is Versa, a versatile mobile robot platform utilizing modular attachments. Weiterführende Links zu "NXT Power Programming"
Weitere Info "NXT Power Programming"
Kundenbewertungen für "NXT Power Programming"